Déesse LED provides a safe, pain-free way to achieve naturally vibrant and clearer skin. 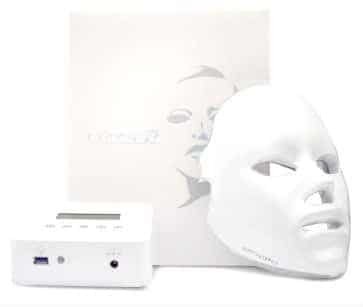 The device uses low-level light therapy (LLLT) via medical-grade light emitting diodes (LED’s) to expose the skin to clinically proven wavelengths of light, all delivered at safe, therapeutic doses. The Déesse PRO EDITION features 5 clinically proven wavelengths & 8 treatment programmes These can be used in isolation for specific skin conditions or synergistically with other brands to create bespoke treatment protocols ideally matched to your client’s skincare needs. Fantastic for all-round skin health, the LED lights stimulate sensors within the skin which boost cell activity and trigger the production of naturally occurring chemicals. Loved by celebrities including Madonna, Kim Kardashian West and Kate Hudson.